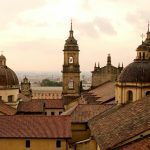 This Colombia adventure is for travellers with a keen sense of adventure, a love of both nature and culture and a desire to take the road less travelled. Starting your journey in Bogota, you’ll get to know the city streets before heading into the Eastern Andean region to explore sleepy colonial towns and visit artisan workshops and small-scale rural farms. 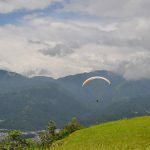 Later you’ll up the adrenalin with river rafting and rappelling excursions, plus a three-day hike along ancient cobblestone trails deep into the Chicamocha Canyon… and then there’s the paragliding! This Colombia adventure highlights the blending of indigenous and Spanish legacies, expressed through food, music, architecture, arts and handcrafts. 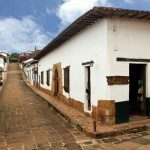 As well as visiting the buzzing cities of Bogota and Bucaramanga, you’ll get to know the small traditional pueblos (towns) of rural Colombia, wandering through their tranquil colonial streets and getting to know the locals. You’ll also explore the Eastern Andes’ contrasting terrains, from high green prairies to wild rivers and rocky canyons. You’ll begin your Colombia adventure in the lively and cosmopolitan city of Bogota, where you’ll take a sightseeing tour of the historic downtown by bike, as well as exploring independently. You’ll then spend several days in the Cundinamarca-Boyacá region, visiting the Salt Cathedral of Zipaquirá and the lovely town of Villa de Leyva, as well as seeing the desert on horseback and visiting important archaeological and historical sites in the region. 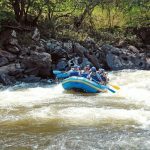 In the Santander region you can get active with a river rafting and rappelling excursion, before embarking on a three-day hike following cobblestone trails along the Chicamocha Canyon, one of the deepest in the world at 227km long and 2km deep. This route is part of a network of cobblestone paths, called Royal Paths, which link Bogota with the Caribbean coast and were important trade routes during colonial times. This area is one of great biodiversity, home to a great variety of endemic species. The landscape was formed more than 60 million years ago from what was once a great sea; the fossils in Guane and Los Santos, both sleepy colonial villages, are testament to this fascinating history. Upon arrival in Colombia you will be welcomed at the airport and driven to your comfortable hotel in Bogota. The rest of the day is free for you to relax and explore. Bogotá is a cosmopolitan city that is sure to surprise you with its culinary and cultural offering, boasting as much diversity as the country itself. Visit the Gold Museum, home to the world’s largest collection of pre-Hispanic gold work, or just walk through the streets of the old town soaking up the city’s unique atmosphere. After breakfast, you’ll be met at your hotel to enjoy a private sightseeing tour of historic downtown Bogota by bike. Admire the city’s architectural features and discover the history hidden along its streets. After lunch you’ll enjoy a trip by cable car to Monserrate Peak, a monument located 3,152 meters above sea level. There you will find the Fallen Lord Sanctuary and breathtaking panoramic views of the capital and the green savannah beyond. 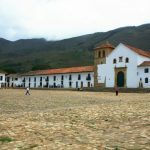 You will be picked up early at your hotel for your private transfer from Bogota to Villa de Leyva (about 4 hours). On the way you will stop at two fascinating places. 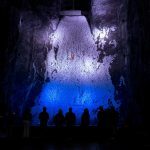 First, Zipaquirá where you will see the famous Salt Cathedral built 180 meters underground in a salt mine that was first developed in colonial times. The second stop is in Ráquira, a picturesque town known for its artisanal ceramics and textiles. 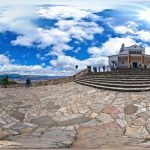 At night you will arrive in the magical town of Villa de Leyva where you’ll check in to your hotel and have the evening free to enjoy dinner in one of the local restaurants. Villa de Leyva boasts numerous archaeological and paleontological treasures, and this morning you’ll take a private tour exploring the desert landscapes around the town on horseback. You’ll visit an astronomical site and a museum showcasing various fossils. You’ll also visit Casa Terracota, known as the largest ceramics workshop in the world, where you’ll discover the unique forms, colours and textures of the local products. 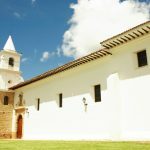 In the afternoon you will have free time to explore the cobblestone streets of the beautiful colonial Villa de Leyva, with its large central plaza, white-washed houses and elegant balconies. Take an optional tour to the Hidden Valley “El Arca Verde” Eco-farm. You’ll visit an ecological Maloka (a type of indigenous house) and an organic vegetable garden. Alternatively, you can relax at your hotel and enjoy a quiet morning coffee and a stroll around town. In the afternoon you will take a private car transfer to San Gil (approx. 4 hours) where you’ll check in to your hotel and enjoy a free evening. Pick-up at your hotel for the short journey from San Gil to the Juan Curi Waterfalls. As part of a small group you’ll hike through the forest to the falls, which are almost 180 meters high. After a short hike to the top of the waterfall you’ll feel an adrenaline rush as you take on the waterfall rappel experience down to the river pool below. In the afternoon you’ll need to bring along your sense of adventure for river rafting through the exhilarating rapids of the Fonce River (difficulty level III). If you’d rather something a little less action-packed then there is an optional tour to a coffee plantation and a beautiful natural park instead. Private transfer to Barichara (approx. 1 hour). This is one of Colombia's prettiest towns renowned for its colonial architecture. Once there you can walk along the tranquil cobblestone streets admiring the adobe houses and visiting artisan workshops and handicraft stores. 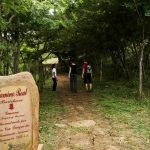 In the afternoon you’ll set out on a walk (or optional horseback ride) along an historic cobblestone path, one of the most important trade routes during the colonial period. This route is part of a network of cobblestone paths called Royal Paths, which link Bogota with the Caribbean coast. At the end of the hike you will arrive in Guane, a little village with a rich archaeological history. Accommodation in a charming hotel in Barichara. You’ll have an early pick up for the start of a private guided hike. You’ll be following the mountains from Villanueva to Jordán and along the way you’ll enjoy spectacular landscapes. 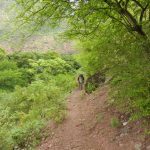 This trail is framed by the immensity of the Chicamocha Canyon, a place alive with energy, which guards paleontological and archaeological remains of the primitive sea and the Guane culture. In the depths of the Canyon you’ll stop for a traditional asado lunch in Shangrila Eco-Farm and then relax by the river. In the evening, you’ll enjoy a home-cooked dinner prepared by a local family while listening to stories about the region. Later, we will arrange hammocks and mosquito nets, or tents, before falling asleep to the sounds of the river. After breakfast you’ll take a short hike to the nearby waterfalls and natural pools, admiring the native flora and fauna along the way. Alternatively you can spend the morning at the farm learning about sustainable agriculture. At lunchtime you’ll enjoy a traditional asado, before continuing your hike along the cobblestone paths. You’ll be heading for the McCormick Bridge, a hanging bridge built in the 19th century, and the first of its kind in Colombia. The bridge spans the Chicamocha River, connecting Jordan with another peaceful town called Los Santos. In the evening you can enjoy a delicious dinner in your hotel restaurant in Los Santos. 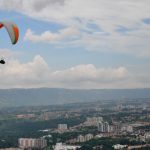 After breakfast you’ll take a short car ride to Bucaramanga (about 40 min) where you can try paragliding from the impressive Ruitoque Plateau. After an exciting take off, you’ll enjoy amazing panoramic views of the valley and the city far below (take a tobacco or coffee workshop instead of paragliding if preferred). The afternoon and evening are free for you to explore the lovely colonial town of Girón, and Bucaramanga, one of Colombia’s most dynamic cities, renowned for the quality of its education system and its growing fashion and design industry. Enjoy dinner before getting a good night’s sleep in your well-located hotel. After breakfast, transfer to the airport for a 1-hour flight to Bogota. End of tour. Or extend your adventure to other destinations in Colombia. Your passport is required at time of booking. For information on visa requirements, immunisations and health formalities please visit the FCO Travel Advice Website or the US Travel Advice Website (direct links to Colombia page). This tour of Colombia, like most of our adventures through Latin America, has a low level of physical difficulty and participants can choose to do as much or as little as they like. If you have any concerns or require special arrangements please call or email us to discuss. Tagged as active, adventure sports, agriculture, Andes Mountain Range, archaeology, bird-watching, coffee, cultural experiences, cultural heritage, family-friendly, hiking, horse-riding, indigenous peoples, sightseeing, social and environmental projects, traditional gastronomy, wildlife.